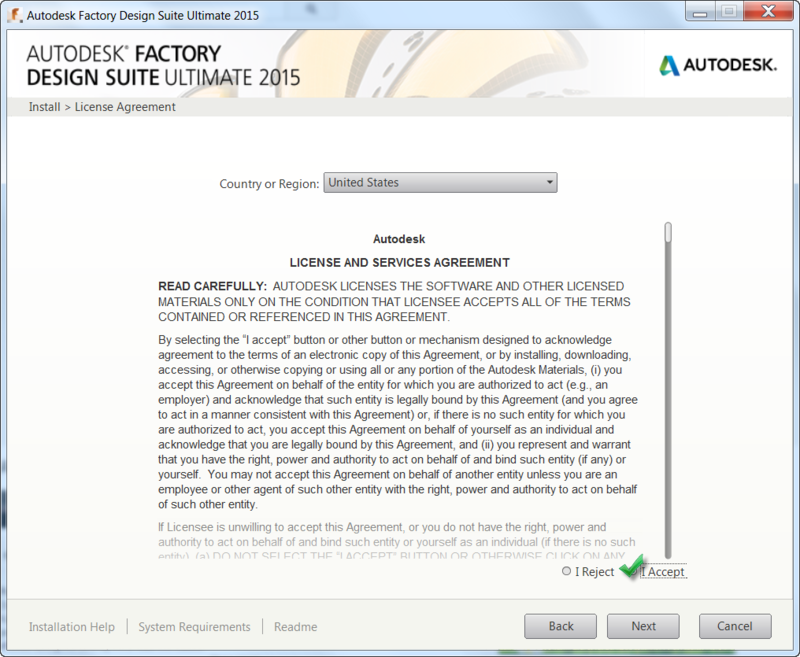 An important step in migrating to a new version of the Autodesk Products is the upgrade of Autodesk Vault. While this step is important, it's not necessarily difficult, but it does require some planning to make sure things go smoothly. Do you have a valid backup of you Vault filestore and database? Check. Then double check. Then think about the consequences of losing all your data. Check again. Make sure you allot for downtime! The installation takes time, not to mention that databases need to be migrated. This can take a while, especially if you have a large amount of data. 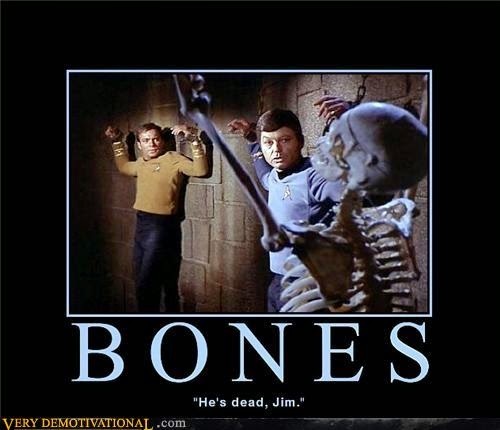 An additional consideration to this. You can only skip one version while migrating a Vault. For example, you can jump from Vault 2012 to Vault 2014, but if you're trying to go from Vault 2011 to Vault 2015, you'll have to jump to Vault 2012 or 2013, then to Vault 2014. Take this into consideration for your planning. 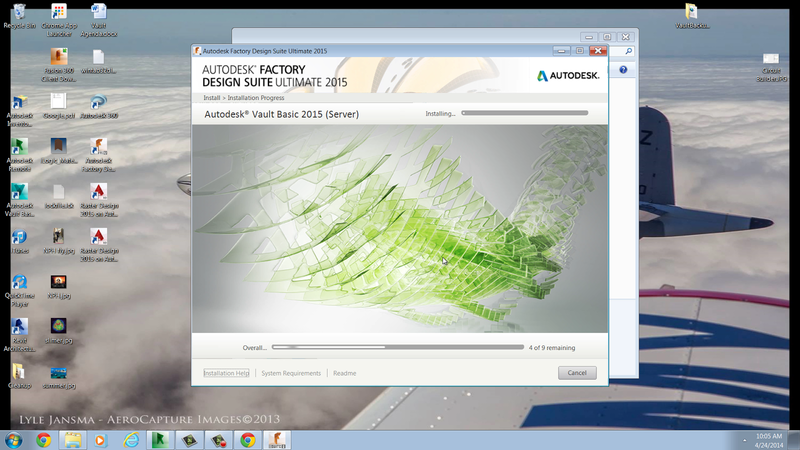 Recall that Vault server can run one version back of many of the Autodesk Products. For example, Vault Server 2015 can run 2014 based applications, and 2014 Server can run 2013 based applications. Take this under consideration. It might be wise to update the server, while saving the clients for later. EDIT 18-June-2014 See comments below! David pointed out that the 2015 version of Vault server can run 2014 AND 2013 versions of the clients! I mistakenly thought it was only the 2014 version! Make sure take note, and thanks David for the correction! Check out the Readme Here for all the details. Also note that the Vaults have to be common (Professional to Professional, Workgroup to Workgroup, etc. Consider a test migration on a separate server! While most migrations go off without a hitch, that doesn't help if you're the one exception to that rule. It's not paranoia if something is really out to get you. Did you check that backup? Make good and sure. The test migration in step 4 can be a way to verify your backup. It's worth considering if you have the resources. Once the deployment is planned out, go ahead and install the new Vault server from your installation files. 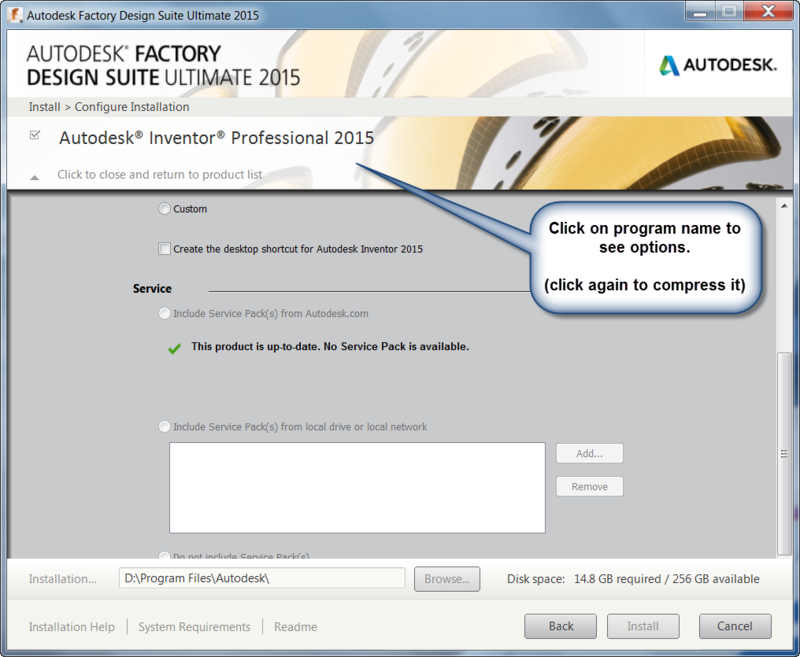 The Autodesk Vault Install will help guide you through the rest! The process begins by starting the install from the Setup.exe file, found on your downloaded files, or USB media. 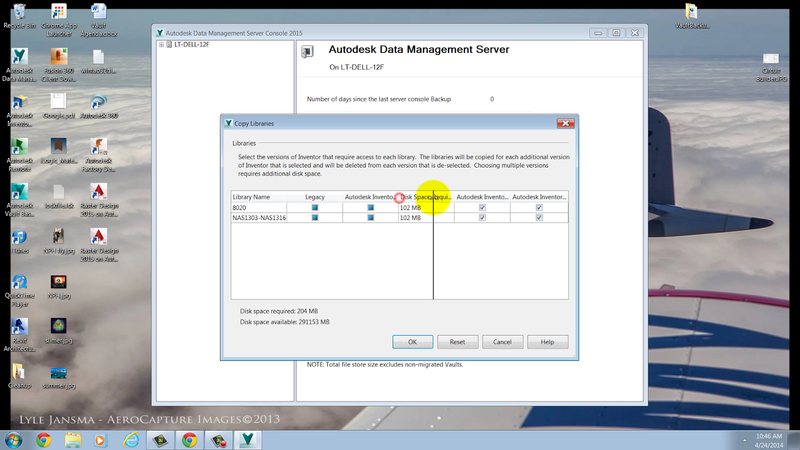 The first screen that appears will have three options, to install the Autodesk Vault Server, choose the Install Tools & Utilities Option. Next, the End User License Agreement, or EULA appears. I have to agree to this to proceed, so that's what I'll do! The Vault installation informs me that it sees an upgradeable version of my Vault. This is my 2014 version, which I do indeed want to upgrade. I'll choose that option. Moving to the next step allows for the selection of which programs I'd like to install. At this point, I'm interested in installing Autodesk Vault Basic Server 2015. 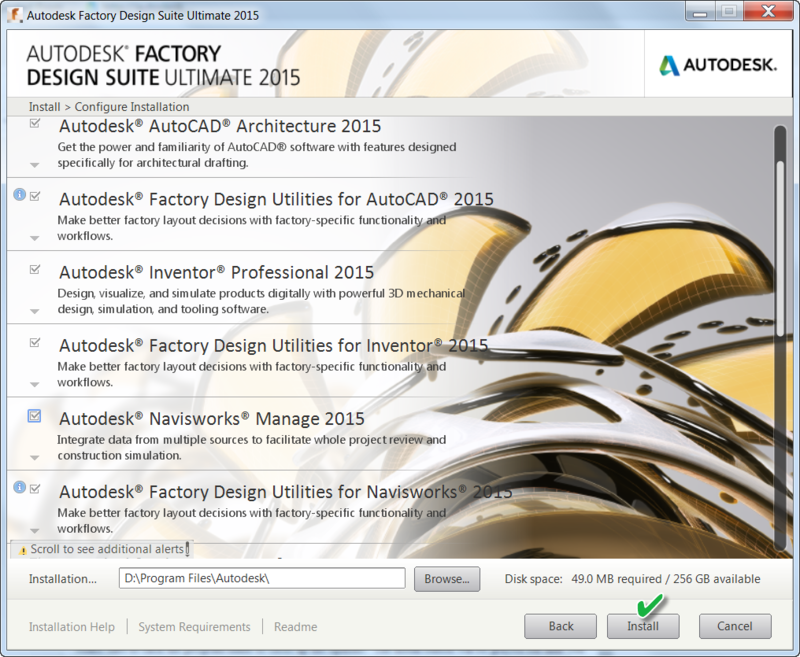 I've already installed Autodesk Content Service with Factory Design Suite Ultimate, in my previous post. 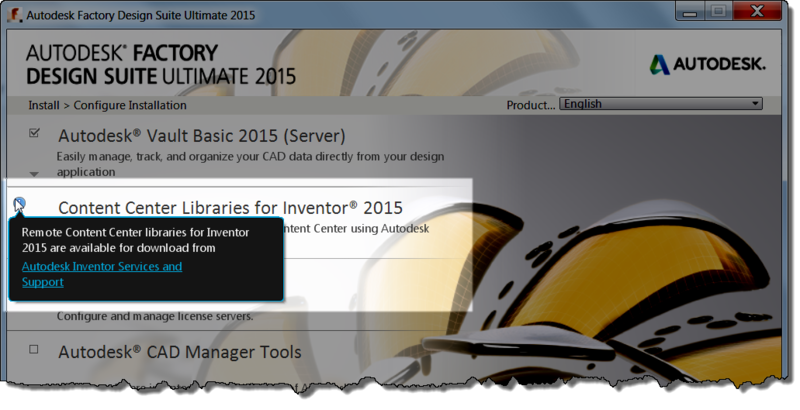 Content Center is downloaded for Inventor 2015. Hovering over the "information shows this information. Also note that the Network License Manager can't be installed. This is due to the fact I've already got a copy installed. Hovering over the "No Smoking" symbol will give this information. Finally, I place my Vault on my D: drive. This is because my C: is a smaller partition, and I want to put programs like the Vault Server on my larger data drive. Finally! I can click the install button, and get the installation going! The installation will take some time. This is part of where that "allotting for downtime" note comes into play! After a little time, the installation will wrap up. I close the final screen, and this is where I get to take a moment. The installation is done, but the migration is next. Now it's time to open the newly installed Vault Data Management Console The first part of the migration starts. But there are still a few more steps. I'll need to log into my Vault, where I'm presented with a message indicating that I need to migrate my Vaults and Libraries, and asking me if I want to do so. Of course, I'm going to agree! I can't use the Vault until I do. At last, the end is in sight! Now, a message asking me if I want copies of my custom Content Center Libraries created for Inventor 2014, Inventor 2015, or both. You're options might be different here, based on whether or not you have custom Content Center Libraries or not. In my case, I'm going to make sure I have libraries for Inventor 2014, and 2015, because I am going to be using both. Now! Vault is ready to go. But there are a couple of last things that need to be done! I'll update any scripts that are maintaining my Vault. The installation paths have changed! Backups won't run unless the scripts are updated! If you're doing your own migration, don't forget this important step! And if you prefer, I've also created a video of the steps too! Check it out below! Onward and upward! 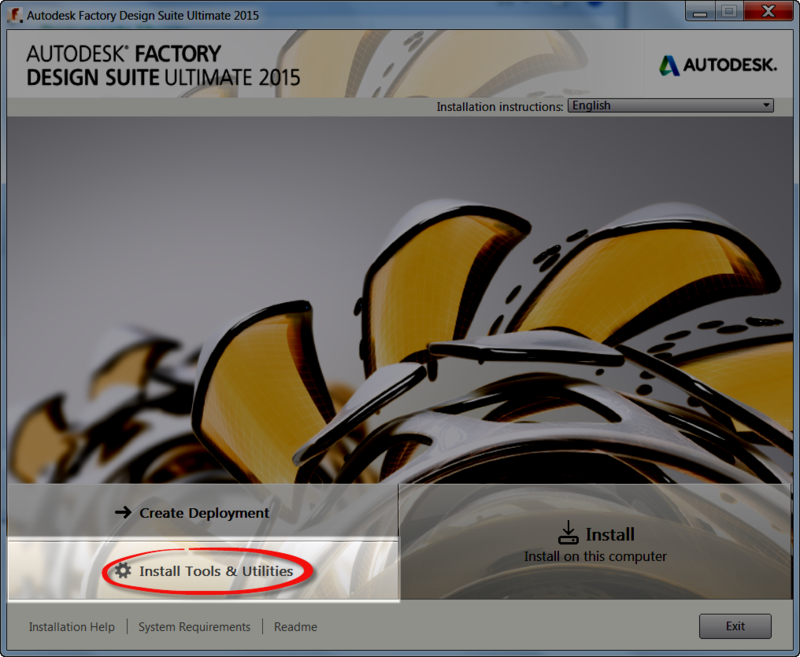 Installing Your Autodesk 2015 Design Suite! Ah. Software updates. 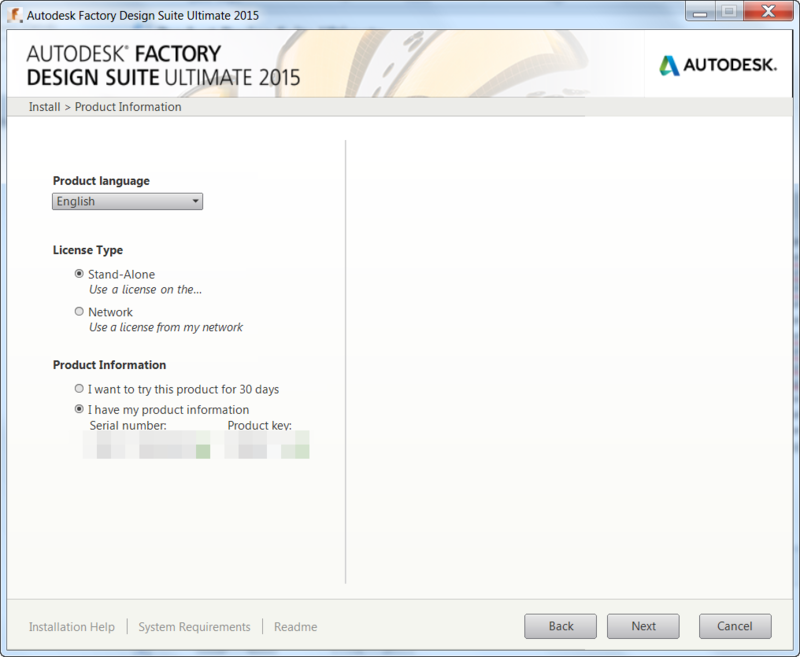 I'm always excited when the time comes to install my new Autodesk software. There's new features to try, after all! But as always, there are options that have to be selected. So for this post, I'm going show the options that I use for install, as well as explain some of the other choices that might be used. I can't cover every last detail, but perhaps what I can show can help you plan your own installation. 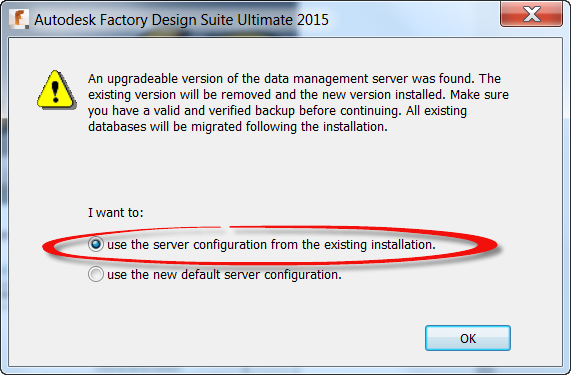 Before I start cranking, I should point out I'm installing from Factory Design Suite Ultimate 2015. 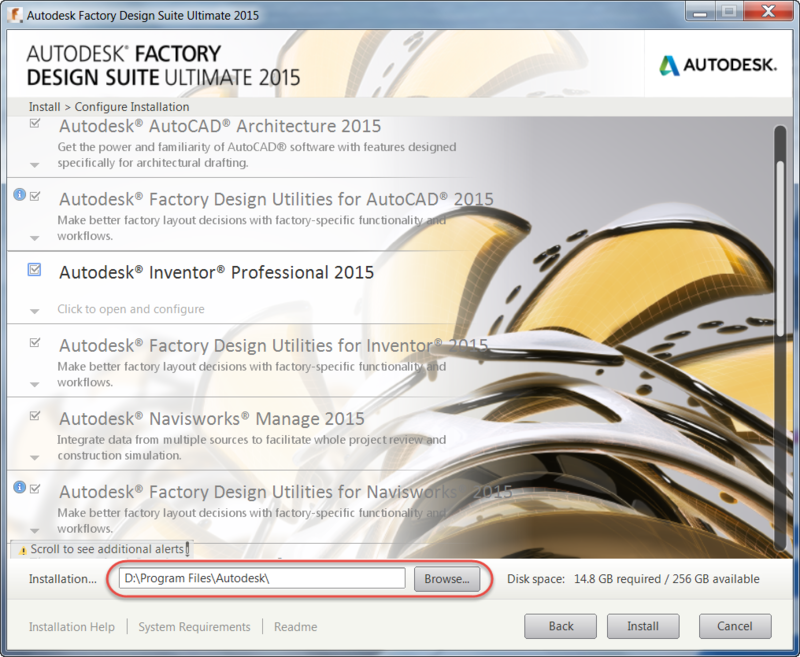 So if you're installing a different Autodesk software, some of the options may be different. But even if you're not installing exactly the same product, there should be similarities! 1. To begin the install, click on Setup.exe to being running installer. The Setup.exe file. Pulling the trigger on the installation. 2. This starts the installation. Soon, the first installation screen appears. For my configuration, I'm going to choose the Install option. But here's a brief description of the other options. Create Deployment: This option is used to create network deployments. This is an install that's configured with a script. It can be pulled to different users machines and make sure consistent settings are used for different machines. Choosing the Install option, I move onto the next screen. This is the End User License Agreement (EULA). It's legal stuff. You have to accept it. 'Nuff said. The EULA. Just say "Yes". 3. After accepting the EULA and hitting next, it's time to choose the license type. One choice is a Network License installation, where a server holds the license, and the installation "pings" the server for the license. Since I'm installing on my laptop, I'm going to choose a Stand-Alone license. Also known as a Node Locked license, this will tie the license to the hardware on my laptop. Note! Your 2015 Product Keys can be found at this link! 4. Clicking next will now let me choose which programs to install. I'm going to install the entire Suite. But you could deselect any options an programs you don't want. The only thing I do on this screen is change my installation location, which I change from my C drive to my D drive (which is larger). 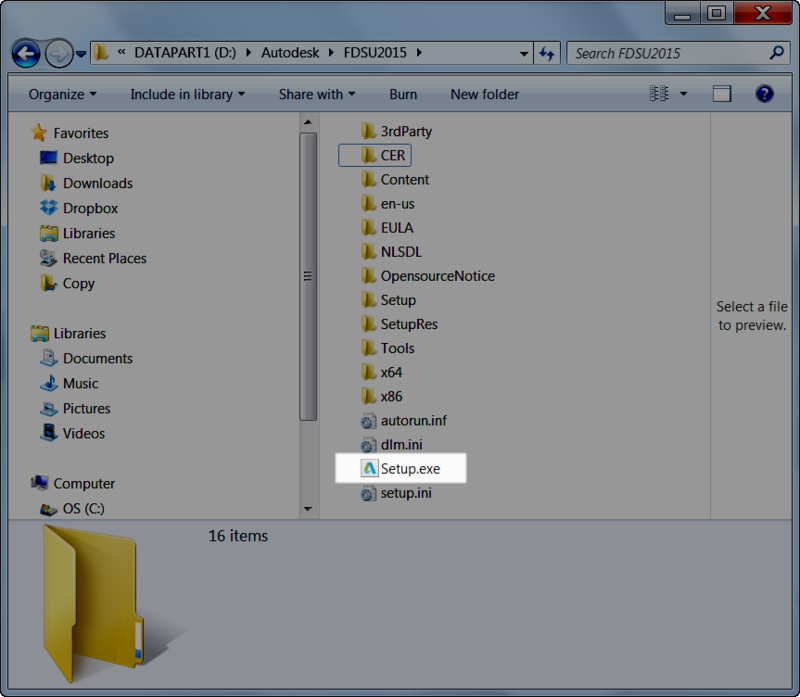 Additionally, clicking on one of the programs will expand out additional options for the installations, such as downloading service packs (if available), and adding or removing certain components from the installation. Each one is different, so check the programs you're installing, and make sure the options you want are selected! Make sure to click the program name to close up the options! The install button will be grayed out until you do this! 5. this is all done, you're ready to Click install, and proceed! , For a video description, take a look below! 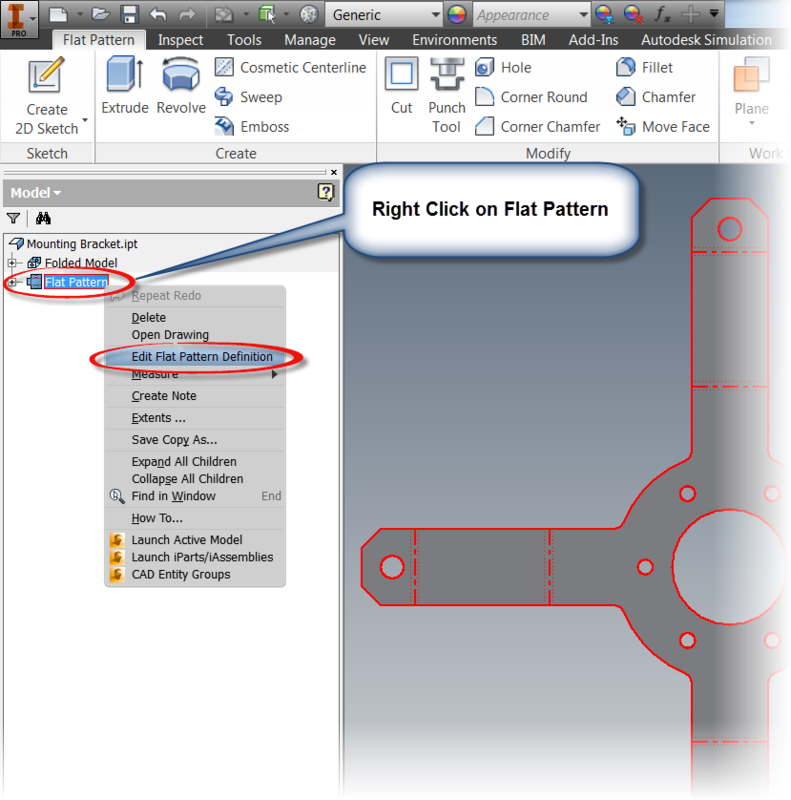 A Guest VIdeo: Workflows for using Autodesk Inventor and 3dsMax Together! It's been a busy week, and a busy (but wonderful) holiday weekend too! I do have some 2015 blog posts and videos in the works, but things have been hectic! So I'm still working on them! I hope to have something up soon! In the meantime, here's a great video from Marion Landry showing some tips and tricks on using Autodesk Inventor and Autodesk 3dsMax! Take a look! There are some nice tips in here! 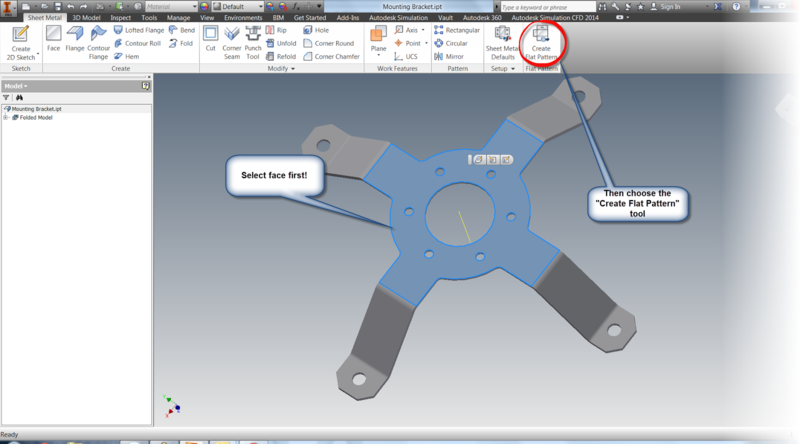 It's an exciting time of year for Autodesk Inventor geeks! 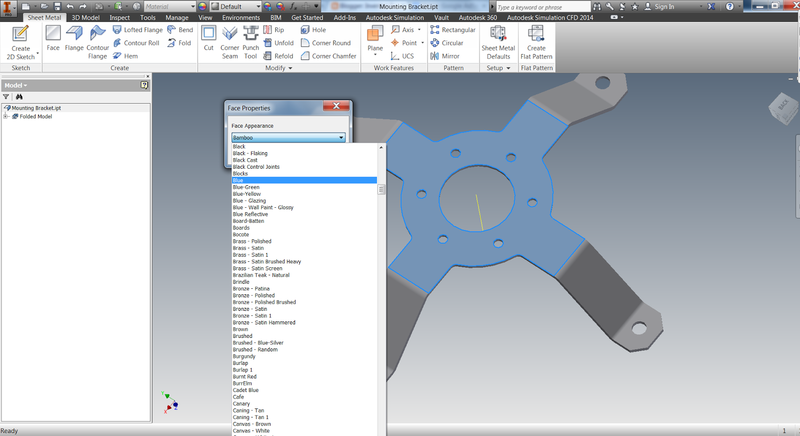 Surfing around the internet, I found my first "What's New" video for Autodesk Inventor 2015! I'm really looking forward to getting into the free form technology that was just added! It looks powerful, very powerful indeed! 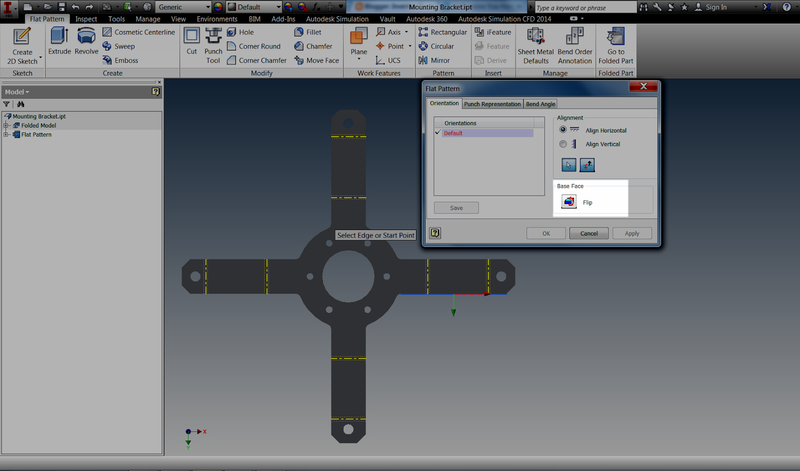 But, why not talk a look at the video from Autodesk below! Take it straight from the source and see what you think! Tomorrow, April 8th, 2014, is a big day for computer operating systems. Windows XP is no longer going to be supported by Microsoft. No more security patches, tech support, nothing. Windows XP is set adrift, just another piece of jetsam in the technological world. Hopefully, everyone has made their moves. Decommissioned Windows XP boxes from production, or relegated them to old test stations. But get ready! Tomorrow is the big day. After twelve long "computer years", Windows XP is passing into history.